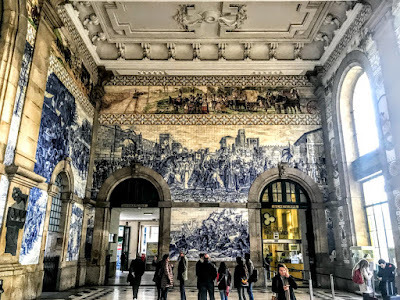 The São Bento Railway Station is not only the main railway station in Porto, but is also regarded by many as one of the most beautiful train stations in the world. Its façade is a well-known landmark in Portugal, and its interior decoration is one of the country’s great works of art. The station stands in the centre of Porto, on a site between the Praça Almeida Garrett, Rua da Madeira and Rua do Loureiro, as well as the escarpment of Batalha, where a tunnel was carved into the hill. 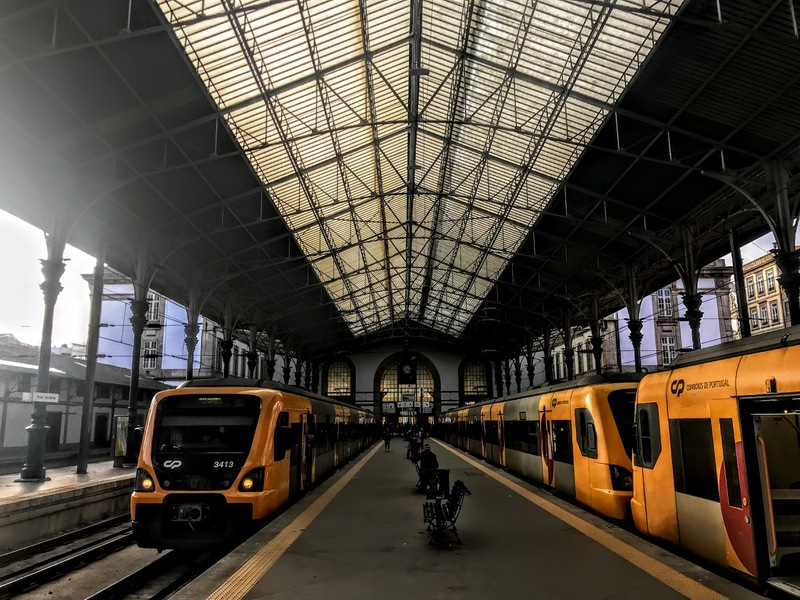 The station is named after Saint Benedict because it stands on the site of the Benedictine Convent of São Bento da Avé Maria, built by King Manuel I of Portugal in 1518. The monastery was burnt in a fire in 1783 and later rebuilt, but it was in a state of great disrepair by the end of the 19th century. A railway station was planned for central Porto as early as 1864, but the plans were not presented until 1887. 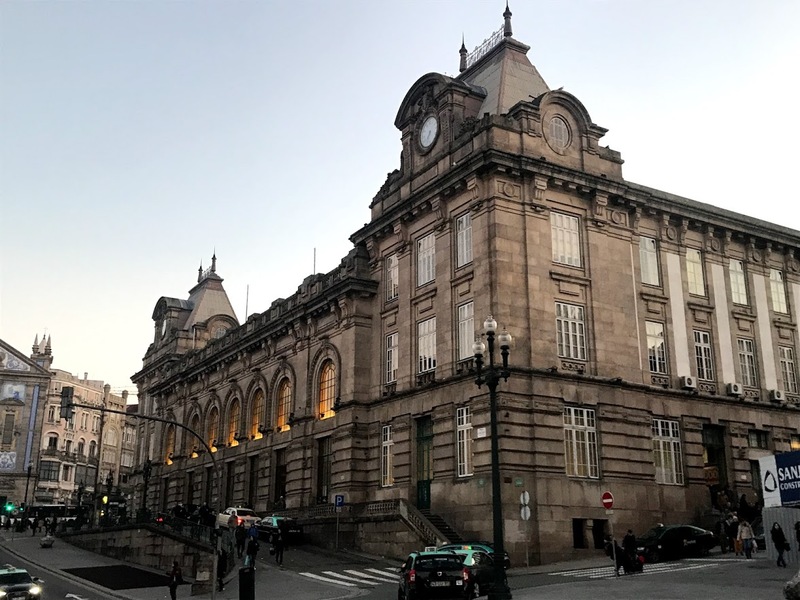 The station was designed by the Porto architect José Marques da Silva (1869-1947), whose design was strongly influenced by French Beaux-Arts architecture. Work on the tunnel lasted from 1890 to 1893, and the first train arrived at São Bento in 1896, but a landslide in 1897 blocked the opening of a tunnel on the south edge of the station site. The tunnel was completed in 1898, the new station was built in 1900-1916, and the station was opened officially in 1916. The symmetrical, three-storey, granite building has a U-shaped plan, with its main façade facing south-west. 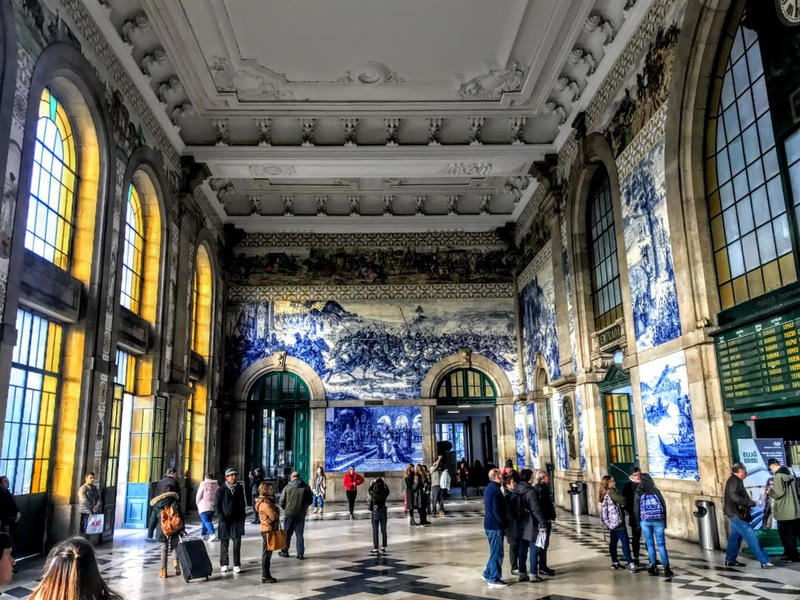 The station’s forecourt is covered with 20,000 painted tiles in the Portuguese tradition of blue and white azulejo tiles. They date from 1905-1916 and were designed by the Portuguese painter Jorge Colaço (1868-1942). Colaço was born in Tangier, the son of a Portuguese diplomat, and studied art in Lisbon, Madrid and Paris. Although he was a canvas painter and caricaturist, he specialised in designing and painting azulejo panels to decorate large surfaces. His designs had a late Romantic taste, celebrating the achievements of Portuguese history. Along with historical themes, he also produced ethnographic and landscape scenes. His other important works include tile panels in the Palace Hotel, Bussaco (1907), the Sports Pavilion at Eduardo VII Park, Lisbon (1922), and the façade of the Church of Saint Ildefonso, Porto (1932). 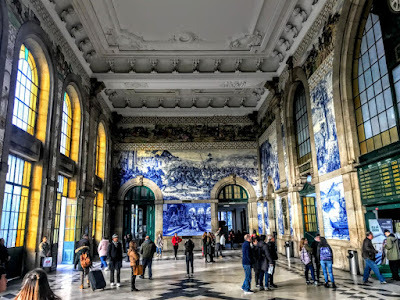 His 20,000 blue and white azulejo tiles in the forecourt of São Bento present major events in the history of Portugal and they are integrated into the design of the building with frames in granite that decorate the lines of the atrium. The scene to the left of the entrance, on the north wall, depicts the Battle of Arcos de Valdevez (1140), with two opposing groups and other knights in the background. Below, another composition depicts the meeting at Toledo in the 12th century between Egas Moniz and Alfonso VII of León, offering his life and the lives of his wife and his sons after Egas Moniz felt humiliated when he failed to negotiate a Portuguese surrender. Alfonso finally recognised Portugal’s independence at the Treaty of Zamora in 1143. To the right on the south wall, the tiles depict the arrival of King João I in Porto with his fiancé, Princess Philippa of Lancaster, to celebrate their wedding in the Sé or Cathedral in Porto in 1387. Below is a depiction of the Conquest of Ceuta in 1415, when the Infante Dom Henrique defeated the Moors. 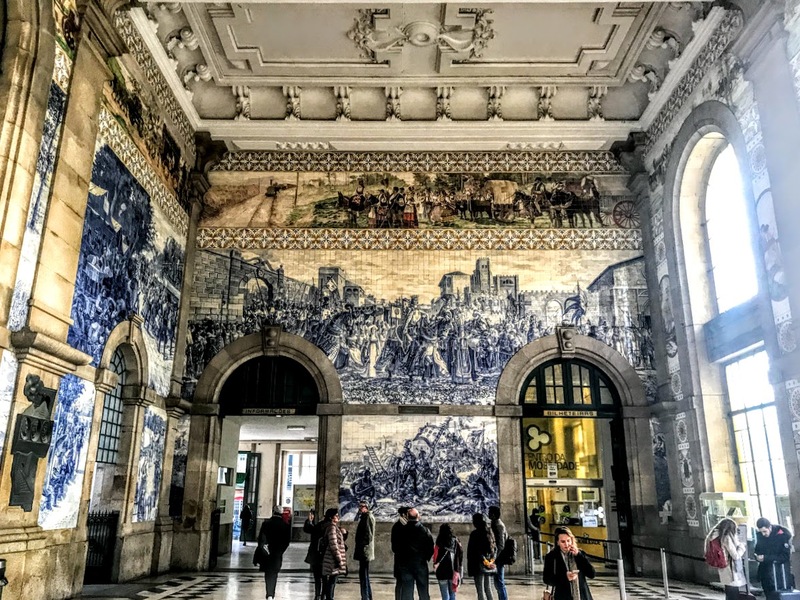 The upper part of the frieze is lined with azulejos depicting a chronology of different types of transport in Portugal, including the transportation of Port Wine in a Barco Rabelo on the River Douro. The lower and upper frame of the frieze consists of a line of tiles in blue, browns and yellow in stylised geometric patterns. The wall into the station is divided into multiple compositions. To the left, a vision of the procession of Nossa Senhora dos Remédios in Lamego, an exhaustive description and detail showing crowds in an urban setting. Under this composition are two panels that represent her promise and a miraculous fountain. The lower panels show a picture of a cattle fair and pilgrim camp. The central panels of the wall represent four work scenes: the vineyards, the harvest, the wine shipment down the Douro and work in the watermill. There are similar presentations on the pilasters. Above these are medallions depicting romantic scenes and, below, allegories associated with the railway referencing time and signalling, in an expression of contemporary Art Deco. São Bento is the main terminus of Porto’s suburban lines and the western terminus for the scenic Douro line between Porto and Pocinho. The station was listed as a heritage site in 1988.